A bit ago, an old family friend sent me this photo. 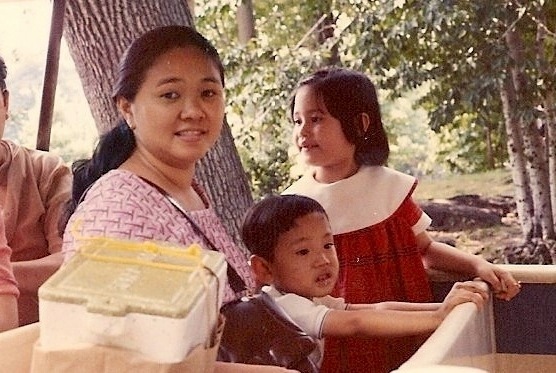 There I am, with my mother and my sister. I forwarded the photo to my father. He thinks the photo was taken just a few months after we had emigrated to Brooklyn from Indonesia. Since the photo was taken, a lot has happened. We got out of Brooklyn, my mother passed away, and my sister and I have children, all of whom are already older than we were when this photo was taken. This photo gives me a lot of joy. So, I wanted to post it and write about it. Lots of memories.